I will not try to hide it: the Council not only frustrated me. It made me sad. A paradox, but I did not see real counciliarity at this Council. It was not an all-Ukrainian Council in its nature and ideology. Rather, it could be called an extended gathering of the Lviv diocese. Long time ago Metropolitan Macarius presented himself as a regional leader. But the Primate of the Church should not be a “regional leader.” He should be above the interests of his diocese and his region. A quite speaking detail: Metropolitan Macarius did not suggest a common prayer for the repose of the souls of the late Primates of the UAOC – the Most Holy Patriarchs Mstyslav and Dimitrios and the Hi Beatitude Metropolitan Methodios. I understand that Metropolitan Macarius was to a certain extent an opponent to the Most Blessed Metropolitan Methodios. But a council is exactly a church mechanism meant to overcome contradictions. And if at the Council convened three months after Bishop Methodios’ death we do not hear a prayer for the repose of his soul, it is a shame; it is a verdict for our ecclesiasticism. And now I will touch upon the Appeal of our Synod to the President of Ukraine. The Most Blessed Methodios always taught us to have respect for the state. Meanwhile, here we have a very sharp appeal. 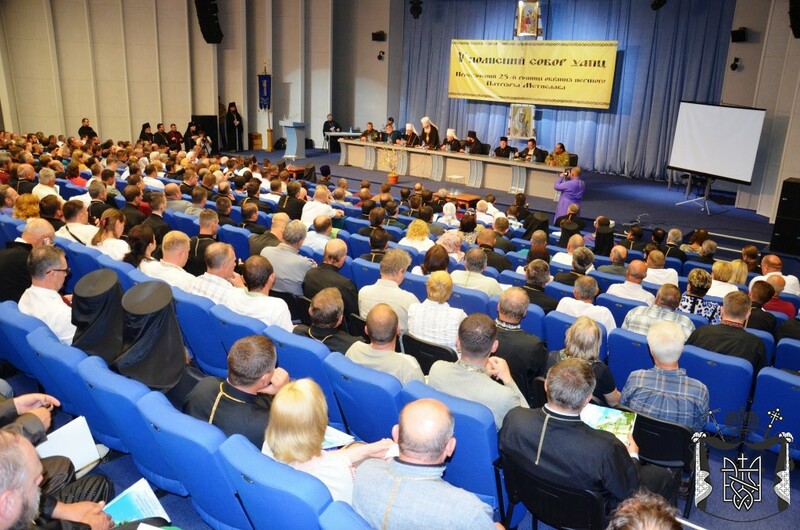 An appeal which accuses the Cabinet of Ministers and the Presidential Administration of “blackmailing” and “threat.” And it was adopted on the second day of the Council’s work, when a significant part of the delegates, almost one half of them, had already left… Of course, the state should not put pressure on the Church. This is an axiom. But the Church does not have a moral right to communicate with the state in such a, God forgive me, caddish voice… I am a believer of the UAOC. I am very worried about the history and the present of our Church. But I am also a citizen of the Ukrainian state. And it hurts me when the dignity of my state is being debased. Cannot we learn to act in a civilized way? Could not we write those church documents in a prudent and skillful way, without emotions and offences? 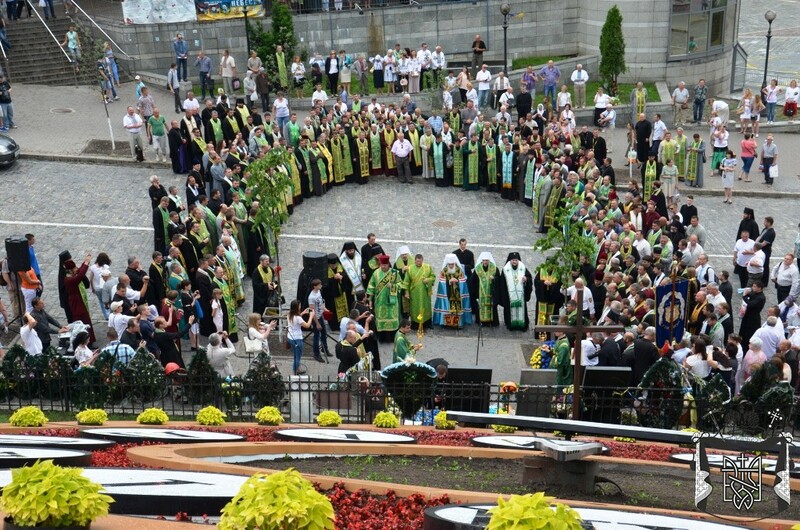 Finally, the stand of the new Primate towards the unification with the Kyiv Patriarchate remains unclear to me. Yesterday Metropolitan Macarius said that there was no greater adherent of the unity with Patriarch Filaret than him. 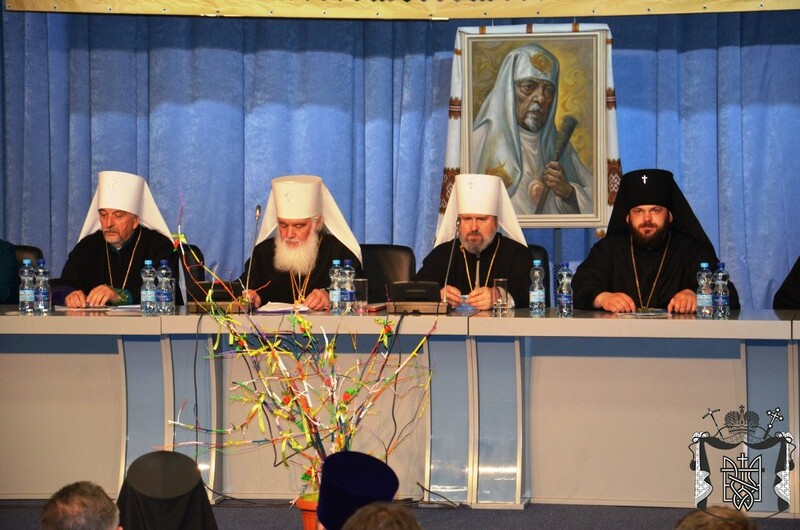 Today the Council adopted rather harsh declarations concerning Kyiv Patriarchate. Why then did you accuse the late Metropolitan Methodios of “blocking” the dialogue with the UOC KP a while ago? May Metropolitan Macarius forgive me, but I expected and I expect of a Primate to be much more consistent. One should not imagine that we live in a “third world” country. Our economic state is, softly speaking, joyless. But our priests and our laity – they live under new circumstances. They watch TV, they take information from the Internet. And what do they see there, what do they read? Yesterday Bishop Macarius was ‘for,’ and today he is, in essence, ‘against’ unification. And what should a priest tell people? That everything has changed in a two months time? That the moon fell down on earth? That Patriarch Filaret turned from the angel of the Ukrainian Orthodox Church into its demon? When the Primate is inconsistent, it is a big problem for priests and the flock. I do not have a personal account on facebook. However, yesterday my friends read me the following remark by a religious expert: “To me the UOAC resembles a spinster, and the UOC KP is like a colonel in the prime of his life. Of course, marriage is possible here. But there are more and more questions whether the UOC KP really needs that.” I am not in the “fan sector” of Patriarch Filaret. But I feel ashamed when my Church is called a “spinster.” It hurts when the image of my church goes down so rapidly. To conclude, I would like to say the following. Metropolitan Macarius only does his first steps as a Primate. And we do not have a moral right to put on him the fullness of the responsibility for the contemporary state of the Church. However, he should understand that the time of “personal projects” in the Church is already in the past. We do not need a Church of a “leader cult” style. Our society demands transparency and responsibility. Finally, I will say a few words to justify Metropolitan Macarius. Everyone expected that our Church would be headed by Bishop Andrew. He is the eldest according to the order of ordinations, and he enjoys greatest authority among the hierarchs of the UAOC. However, for some reasons Bishop Andrew refused from primacy decisively. These are the conditions under which Metropolitan Macarius was elected. Therefore, may God give strength to the new Primate of the UAOC so that he is worthy of his high post, and so that he could adequately react to criticism to his address, both from the side of the society and from within the UAOC.